When it came time to decide who or what I should feature as my first blog post on "Cooking and Couture" it was a no brainer…Valentino Garavani...better known as simply...Valentino. With the new release of his book “At the Emperor's Table” which made its debut in October, Valentino was the perfect choice. After all when it comes to Haute Couture and Cooking... the two goes hand in hand...at least when Valentino is involved. Of course, you probably won’t find Valentino in an apron cooking in the kitchen, but he does come up with some breathtaking tablescapes for entertaining. At the Emperor's Table is a cookbook like no other cookbook you have ever encountered. The cookbook contains recipes from Valentino’s personal chefs….and like I said before…beautiful tablescapes designed by Valentino himself. Valentino’s passion for tablescapes began after he received a hostess gift, but not just any hostess gift, a vermeil saltcellar shaped as a throne. With that said, this book is a little bit more on the lavish side, I mean this is not the kind of cookbook you give to your college freshman who is moving to his new apartment. After all this cookbook is a Valentino creation, and like any Valentino creation, it’s a masterpiece…a work of art that should be treasured for years to come. This cookbook is definitely the haute couture of all the cookbooks that has ever been published to date. 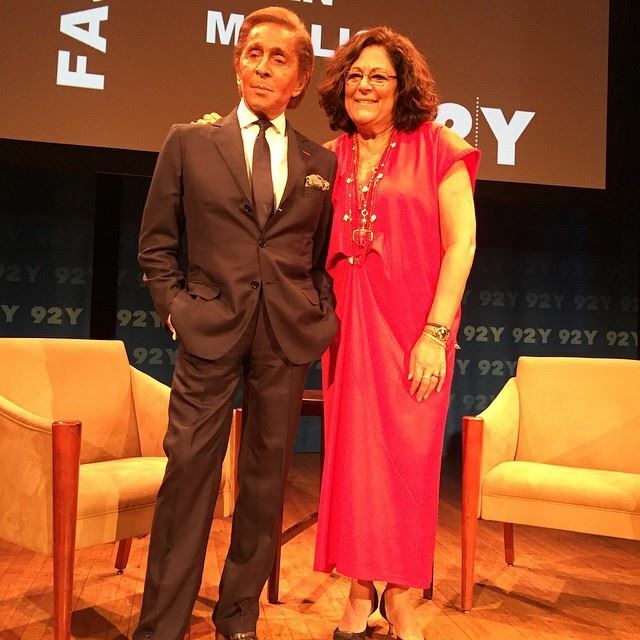 Recently Valentino was in New York City and many of us had the pleasure to be in his presence at 92 Y in conversation with Fern Mallis. It was certainly a night to remember for all of us who had an opportunity to be part of the sold out event. 92Y was gracious enough to provide a clip of highlights from the event…and this clip will definitely put a smile on your face. But before you watch the clip, life just wouldn’t be the same without trying the “Valentino’s Streusel,” which is heaven on plate. Enjoy The Video Clip and the Recipe Below! 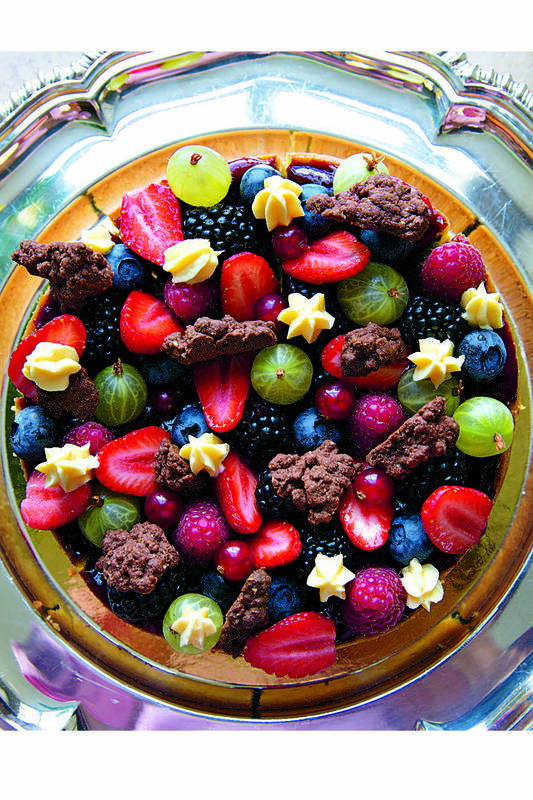 Recipe Reprinted from Valentino: At the Emperor’s Table, by Valentino Garavani.